This link will take you to a short interview (2:51) about the tricks of the American restaurant business. * Read over the eight notes below, and then listen to Sara Murray’s short interview with Quentin Fottrell. After that, fill in the blanks. Below is a helpful list of difficult vocabulary. Below that are the answers. 1. 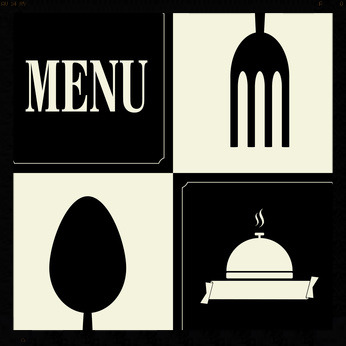 28% of diners will order the same item the following week if it has been re__________d. 2. Diners will pay 12% more if an item has a ____________ name. 3. Higher priced items are placed where consumers will more likely _____________ them. a. They might be ____________________’s leftovers. b. They may not be listed with the ____________. 1. 28% of diners will order the same item the following week if it has been renamed. 2. Diners will pay 12% more if an item has a fancy name. 3. Higher priced items are placed where consumers will more likely see them. a. They might be yesterday’s leftovers. b. They may not be listed with the price.